Edison Grainery: The three most recent consumer complaints for this manufacturer involve a single errant grain in a bag of lentils. Edison Grainery told consumers that while it is difficult to identify the grains in question they are most likely wild oat, oat, or rice. 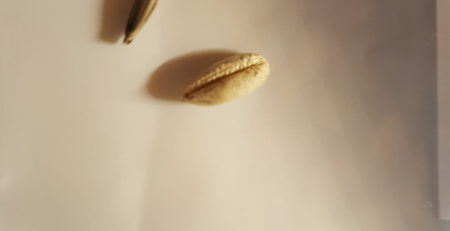 Gluten Free Watchdog sent a consumer photo (posted) of one of the grains to an oat farmer. We were advised that the grain in question was not a wild oat but likely barley. Unlike the multiple errant grains found in the Aldi product, the sample from the Edison Grainery product is too small to test using the R5 ELISA (we need at least 0.25 g of product). The consumer has agreed to send the grain to us for testing using the Nima. This may or may not work depending upon whether the seed can be ground into “flour” form. (As an aside—testing errant grains after grinding to determine if they are wheat, barley, or rye may be a good use of Nima). 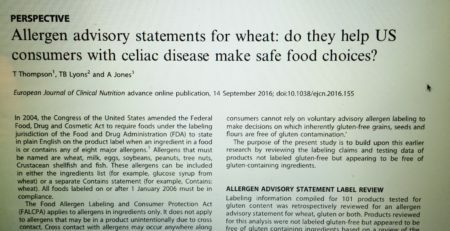 Gluten Free Watchdog reached out to Edison Grainery for comment. They have not yet responded to our email. Please see the comment section for an update from Edison Grainery. Purchase lentil-based products labeled gluten-free. Lentils are allowed by law to contain a certain percentage of foreign grain, including wheat, barley, and/or rye. That said if lentils are labeled gluten-free they should contain less than 20 ppm of gluten. If the lentils are canned: rinse thoroughly under running water. If the lentils are dry: pour onto a cookie sheet and pick through them. Rinse thoroughly under running water. Thank you to the ever-vigilant consumers who contacted us about these products. The email below was received from Edison Grainery on December 14, 2016. It is posted here in full and unedited by permission. I buy buckwheat from Edison Grainery. Some of the bags have had a few foreign grains but most don’t. (I haven’t found any lately.) I visually shift through all of it to be sure nothing foreign gets into my food. I will say that their buckwheat is far less contaminated than what I used to buy from Nuts.com. (Those grains were definitely in the gluten family, as I got a strong positive when I used a home kit on them.) Since buckwheat is a rotation crop, I assume shifting through it is just something I’ll have to keep doing. Tricia, do you know if Edison Grain was/is manually sorting their products? Once their “state-of-the-art optical sorter” is operating, will ALL of their products go through this sorter? I wonder why the manufacturers/suppliers of grains appear to have difficulty identifying foreign grains (i.e barley as opposed to oats or rice) as they are in the grain business? And it’s not just this particular company. May I suggest that if they were able to better identify the foreign grains in their products, they might be able to identify the source of the cross contamination, and therefore, minimize the risk to the consumer. I appreciate Edison Grain outlining their protocol and making it available to the public. I don’t know any specifics about Edison Grainery but grains and legumes are mechanically sorted at least to some degree. Otherwise they would be full of sticks and stones. 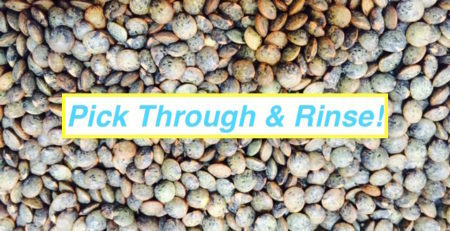 Keep in mind that regular grains and legumes not grown under a purity protocol (most of them) arrive at a mill or processing plant with varying degrees of “contamination” from other grains, legumes, stones, sticks, etc. While most foreign material may be caught some may slip through the cracks. If manual inspection is involved those doing the work may have been trained to spot errant grain. But grains can look alike. This is why sophisticated optical sorting machines may prove very helpful. I recently bought a bunch of green lentils from Nuts.com that were advertised & labeled as certified organic and gluten free. Nuts.com told me that they test the lentils for gluten, but I found 33 kernels of grain in about 6 cups of lentils. I have never seen that much foreign material in lentils before. And about 30% of the lentils looked withered, rotten, or diseased, so I am currently trying to get a refund. The country of origin for the lentils was China. I think I’m going to take my chances with certified organic lentils that were grown in the US or Canada and just sort through them for any grain and rinse them really well. Hi Patricia, I do not have any additional information at this time. Edison Grainery products are not certified gluten free through an organization such as the GFCO. I think stating that their products are certified gluten free is misleading. 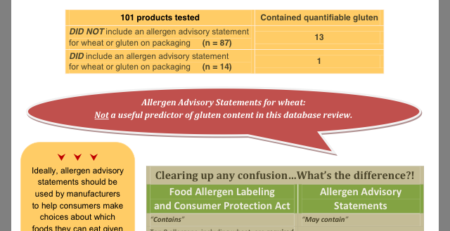 Edison’s gluten free claim is equivalent to the FDA labelling requirements for gluten free products, from their website: “Verified Gluten Free means that the product has been tested to ensure that gluten levels are below 20 parts per million (ppm), the FDA-established level for food carrying the gluten-free label”. 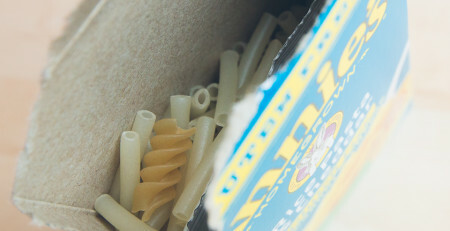 Hi, Please see photos posted along with this blog and note the Certified Gluten-Free mark from GFCO on product packaging. 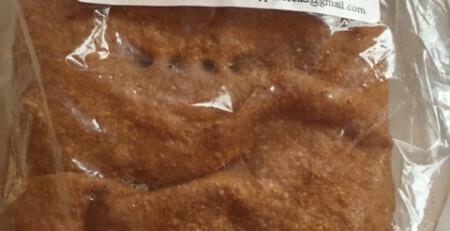 The products in question were certified by GFCO. It is my understanding that GFCO no longer certifies products from Edison Grainery.